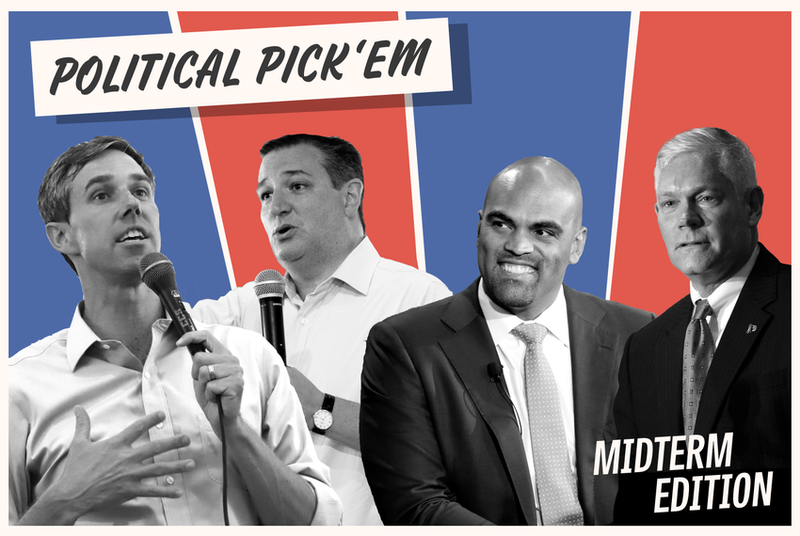 Political Pick'em: Can you guess who will win in the Texas midterms? We've picked 15 competitive Texas midterm elections, and we want you to pick the candidates who you think will get the most votes on Election Night. First place gets a prize. Who says the sequel is always worse than the original? Just select the candidates you think will have the most votes at the end of Election Night in each race. By entering this contest, you are signing up to receive The Brief, our morning newsletter on the Texas-related political news you need to know. See full rules and regulations here. You get one point for each race you pick correctly. Whoever has the highest score wins. In case of a tie, we'll use our tiebreaker question that is included in the form below. In the unlikely event that a tie remains, we will randomly select a winner from the top performers.